I am not 100% sure but I think is was at AmiWest 2011 that Steven Solie talked about setting up some kind of developer information site. Over at Hyperion’s Entertainment Blog Steven Solie announced the AmigaOS Documentation Wiki. Let’s hope this will turn into a great resource of developer info. I am worried it might come to a halt after a while with no new info added. At least the beginning is there. I have started already with my ReAction tutorial on how to open a window. I am trying to get the first part released this week. The example code is done and just needs a bit of cleaning. With the first part of the tutorial I will also post the example code so you can already have a go at it. But I will explain the code over several parts since it would take a long time if I wanted to do everything in one tutorial. And I did not want to withhold the example code till later. Looking at it’s age you can’t help thinking when. 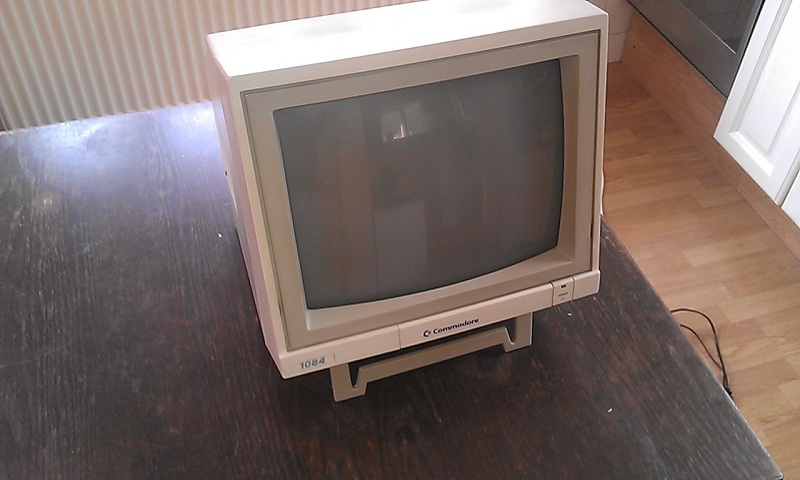 But today, Sunday 13-5-2012, my Amiga 1084 monitor finally gave up and died on me. After so many years of loyal service his time has come. Turning it on I hear a high pitch tone and when I switch it off it sounds like a washing machine ending his chore. I am not sure what I will do next. Buy a new one, use a television set or use a VGA monitor. For the last option I have no clue how to get this connected. I would need some kind of converter plug but which one and how it works is beyond me. If anyone got some ideas/tips please let me know. Sadly I was about to start with a new game review. Let’s hope I got this sorted soon. A piece of history died today and only a true Amigan can understand the loss I have experienced today. A toast to a great monitor that accompanied me through a big part of my life.